The long, hot days of summer will be here before we know it. In fact, most of the United States is expected to be hotter than normal June through August 2017, according to the National Weather Service’s Climate Prediction Center. That means heat safety should be top priority in any industrial work environment. It could be beneficial to get a tune safety inspection to make sure the building is ready for the heat. 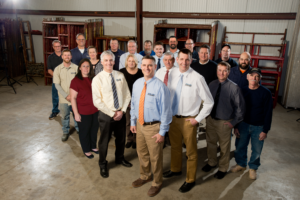 As for your valuable staff members, to keep your talent safe and productive, employers must educate employees and supervisors alike about the potential dangers of heat stress and heat stroke. Heat stress occurs when the body is unable to regulate itself by sweating and the core body temperature rises to critical levels. Heat-related illnesses occur when the body is not able to lose enough heat generated by physical work and external heat sources. It is a medical emergency that can lead to cramps, exhaustion, stroke and in severe cases, death. In 2014, 2,630 workers suffered from heat illness and 18 died from heat stroke and related causes on the job, according to OSHA. The good news is that heat illnesses and deaths are preventable. A key component of prevention is to provide mandatory breaks, or recovery periods, for employees working when temperatures are high. While OSHA does not define a “magic number” for the temperature threshold, extra precautions should generally be taken any time temperatures exceed 85 degrees. Furthermore, the heat index is a better measure than temperature alone for estimating the risk to workers. The heat index from OSHA takes both temperature and humidity into account. The higher the heat index, the hotter it feels, and sweat does not evaporate and cool the skin. It’s also worth noting that exposure to direct sunlight can actually increase heat index values by up to 15 degrees. Even the most safety-oriented worker can forget best practices sometimes. Posting signs around the warehouse or job site as a reminder of the everyday risks inherent in their jobs, and what workers should be doing to comply with safety regulations, serve a great purpose in keeping the subject top-of-mind. While it is certain that the summer months will bring plenty of sun and high temperatures, there are simple ways to help your employees avoid illness due to heat exposure. Following are six tips to beat the summer heat in the workplace. 1. Drink plenty of fluids. Staying hydrated will help your body perspire and maintain a normal body temperature. 2. Work while it’s cooler. If workers spend a substantial portion of the shift outdoors or if heat index levels rise during peak work hours indoors, schedule shifts when the sun is less intense and temperatures are cooler whenever possible. 3. Require mandatory breaks. Downtime in the summer allows workers to cool down in an air-conditioned or shaded area. Follow the break and rest period guidance given by OSHA as Heat Index levels rise. 4. Dress smart. Wearing excess clothing or tight fitting clothing won’t allow your body to cool properly. Loose, breathable cotton is best for keeping cool during work summer months. However, appropriate personal protective equipment (PPE) must still be used. Additional breaks may need to be scheduled to account for the strain on the body of wearing additional protection in high temperatures. 5. Protect against the sun. When outdoors, wear a wide-brimmed hat and sunglasses and use a broad-spectrum sunscreen with an SPF of at least 30. Apply sunscreen generously, and reapply every two hours – more often if you’re perspiring. 6. Be prepared. Stay updated on workplace training and encourage workers to participate in wellness programs that bolster fitness. An active lifestyle helps individuals tolerate heat and sun better. If you suspect an employee has suffered heat stroke or stress, move the person to a cool, ventilated area, and lay the individual down with legs elevated. Be sure to check the pace of breath. You should try to lower the body temperature by using cold compresses or a fan. Offer the worker a drink of water and monitor vital signs. If necessary, call 911 for emergency assistance. Co-workers often are the first to recognize an employee is suffering from heat-related illness. 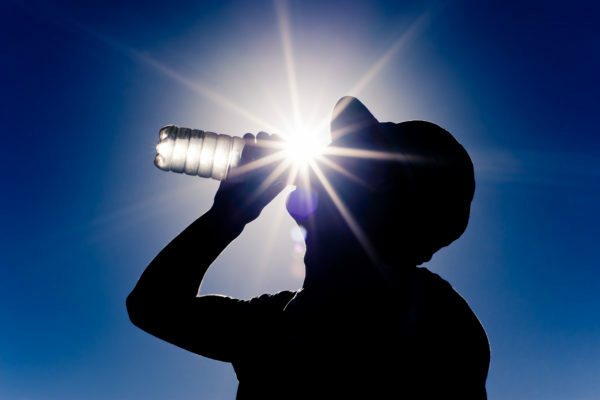 As we move into the summer months, it is important for employees and their supervisors to minimize the occurrence of heat-related illnesses, and communication and training is key. That includes training when onboarding new workers. Safety on the job is not static. There’s always room for improvement, so brainstorm with your team about ways to promote a higher level of safety awareness for all, whether that’s the frontline workers, or the professionals in the front office.